assault which no provocation could justify, brutal and cowardly in itself, a gross breach of parliamentary privilege, a ruthless attack upon the liberty of speech, an outrage on the decencies of civilized life, and an indignity to the Commonwealth of Massachusetts. The resolutions further approved of Sumner’s “manliness and courage” and demanded an investigation. State legislatures passed resolves on this order fairly often, dispatching them as petitions for their congressional delegation to enter into the record. Each might get a brief speech and the Congress would then do as it liked. 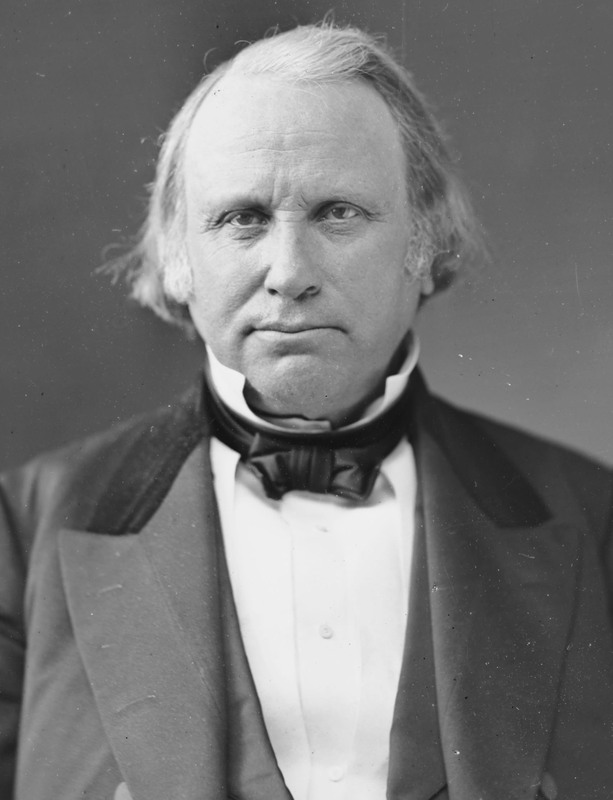 Massachusetts bypassed the ordinary process, instead directing the Governor send copies directly to the President of the Senate, Indiana slaveholder Jesse Bright, and Speaker of the House. I haven’t found a date for the resolutions or their reception by the Senate. Given that the chamber voted for Seward’s proposal for a committee on the attack the day after, it seems unlikely that they played a direct part in consideration. Matters in Washington did not inspire much confidence. The Senate passed the buck to the House. The House committee delivered its recommendations: expulsion for Brooks and censure for Edmundson and Keitt. Those proceedings take us up to June 2, 1856. Henry Wilson didn’t wait for all that. He had a smaller, but much more exalted audience than a New York or Boston crowd in the United States Senate. By May 27, word of Sumner’s testimony had gotten around to the Senators. Some of them didn’t like how they came off in it and took to the floor to offer their explanations for the record; Slidell explained himself then. Wilson accepted that explanation and granted that he didn’t think Sumner meant to cast Slidell in a bad light. He also granted Douglas’ version of events. impulsively uttered words which Senators advised him were not parliamentary, and he subsequently, at the insistence of Senators, requested that the words might be withdrawn. I used a word which I hope will not be put down. I have never used an epiphet on this floor, and therefore ask that I may be excused. provoked the exclamation “You are a liar!” from Mr. Butler; although at the request of Senators he immediately withdrew the words. Directly calling a man a liar, in the Southern code of honor, essentially dared him to admit lying or prove his convictions in a duel. The accusation itself came near to a challenge and so, understandably, Butler’s colleagues talked him down and he at once regretted it. 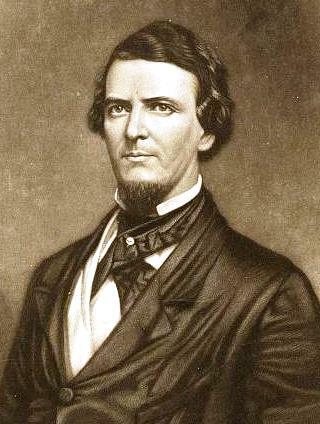 Two days later, an interested party took up Butler’s claim as his own and challenged Henry Wilson to a duel properly: Preston Brooks. 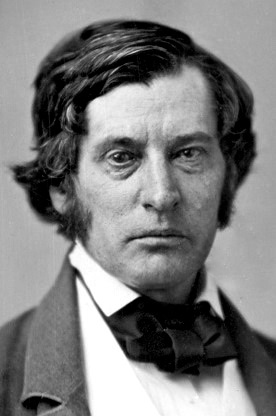 George Hillard, who has known Charles Sumner for years and once considered him a friend as well as a law partner, condemned Preston Brooks’ caning of his old friend as inhuman and brutal. More than that, and more importantly, he called it cowardly. If Brooks faced Sumner in even terms he would still have transgressed against the respectable mores of Massachusetts gentlemen, but to attack a man unawares made his caning the work of an assassin. In his own life, Hillard probably felt that pull. He and Sumner hadn’t gotten on in years and retained only a formal remnant of their old friendship. Brooks’ attack took precedence over their personal disagreements, just as it did over Governor Gardner’s differences with Sumner. He represented Massachusetts and that mattered. Boston gathered for public indignation on Saturday, May 24. Only two days had passed since the caning. News clearly hadn’t reached Boston of the general delight with which the South greeted received word of Sumner’s plight. 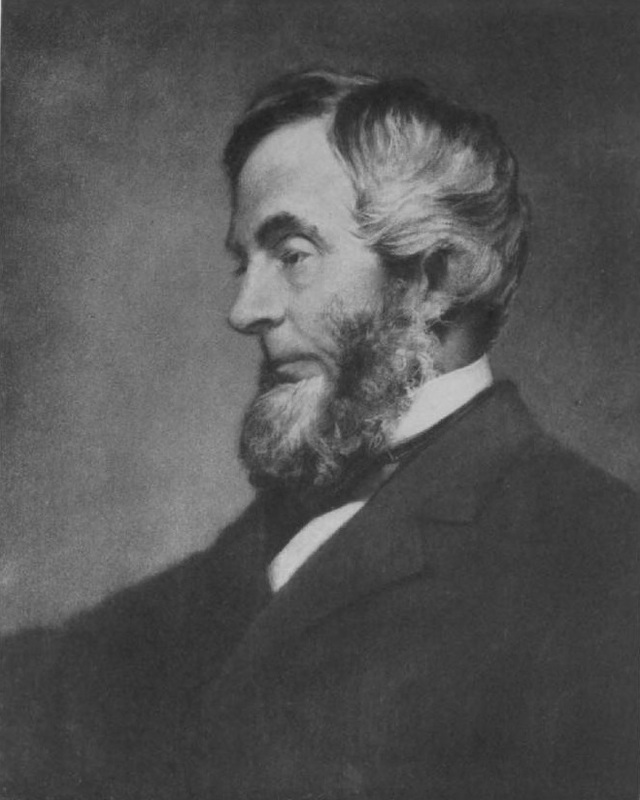 Hillard, as a more moderate and less political man than Sumner, might of his own accord approach the question with more circumspection. Doing so before evidence had come in speaks to general prudence and good sense in an era when it could take days for news to travel the country. 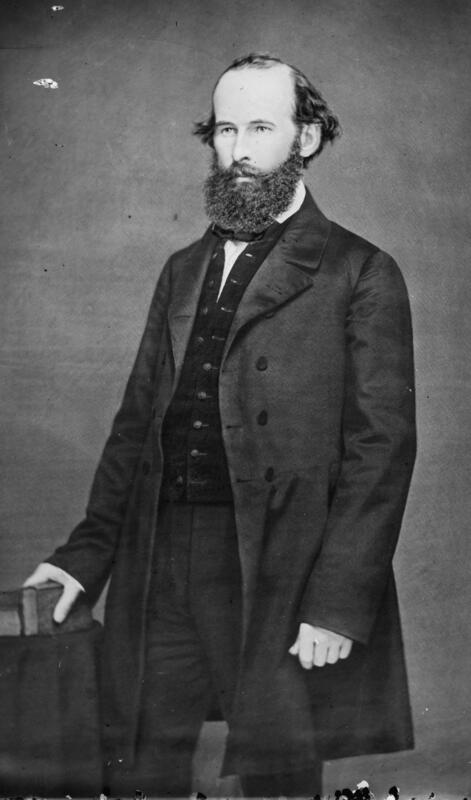 Massachusetts’ Know-Nothing governor, Henry Gardner, had mixed feelings about Sumner’s caning. He condemned it at the public indignation meeting, but left room in his condemnation for anyone who harbored doubts about whether Sumner had gone too far. As a member of a party which positioned itself often as an alternative to antislavery extremism, while retaining some antislavery preferences, he had to thread that needle whatever his private thoughts. Resolutions followed Gardner’s speech, in the same vein as the New York set, but with an additional dig at the congressmen who voted against the House investigatory committee. the principle that in a civilized community a man may resort to physical violence for the sake of redressing a private wrong, is a doctrine which you and I, and all of us, do most distinctly repudiate, because by adopting or admitting it you render null and void all that has been done by our fathers and mothers to build up this goodly fabric of the State, the highest work of man’s hands. Hillard had the right of it, by his mores and I hope our own. White Southerners disagreed, but they didn’t attend public indignation meetings in Boston. Sumner’s old partner went on to expound about degrees of culpability in assaults. One could justify, or at least forgive attacks, “made in hot blood” or “under sudden provocation”. Even attacking a person of “notorious violent, manners and deportment” could get a pass. far nobler or at least less ignoble than the assassin who dogs the steps of his victim in the dark and stabs him in the back. So too the man who comes to me, face to face, at noonday in the street, and tells me he is going to inflict a personal chastisement upon me, there is even in that some little show of fair dealing, of honesty so to speak, even in the very attitude and circumstance of the assault. a very bad specimen of a very bad school, and the comment I made upon it, was not first that it was inhuman and brutal, but it was cowardly. The cowardice, mention of which drew applause, stood out to Hillard more than the brutality or inhumanity even in retrospect. He depicted Sumner as, “a man imprisoned, tied hand and foot, so to speak, in an arm-chair and desk” when Brooks struck, “without warning.” That made the South Carolinian an assassin striking a nearly helpless victim. Compared to that Hillard, could commend the “manliness and courage” of someone who met him on the road and whipped him. There were not merely rallies in New York, Philadelphia, and Boston, not merely in Albany, Cleveland, Detroit, New Haven, Providence, and Rochester, but in Newmarket, New Hampshire, Lockport, New York, Rahway, New Jersey, Berea, Ohio, Burlington, Iowa, and in dozens of other towns. Gentlemen, I cannot resist this opportunity to say to you that this event, unparalleled heretofore in the history of our country, can perhaps be traced by easy and slow gradations to that habit which is too frequently adopted even in Massachusetts, of unbridled abuse and calumnious insinuations and assaults against the character, purposes, designs and motives of our public men – While I stand here to defend the liberty of speech, I would not have that liberty degenerate into licentiousness. He who strikes into the bosom of an opponent with a dagger, or he who uses a bludgeon upon his head attacks his physical life; but he who uses the dagger of the assassin on the character of a political opponent, or the bludgeon of an untruth upon his reputation, is as bad as the other. I can hardly trust myself to speak of this despicable conduct as it deserves. I have read the speech which gave rise to it, and I am constrained to say that in my judgment there is not a pretext for the assault. But whether the words were weighed carefully and were in good taste or not, is not the question. the question is, whether a man from Massachusetts can be indulged with the same latitude that the other sixty senators of Congress are allowed. That is the point for us to consider, and I hesitate not to say that this speech does not surpass many speeches which have been uttered there and gone abroad to the winds, without the first word of complaint against them. The Governor has obvious mixed feelings. The content of Sumner’s speech doesn’t matter, as a matter of principle. On the other hand, nothing in it would justify an attack upon his person. But do remember, character assassination has no place in decent politics. I don’t know what Gardner’s delivery was like, and my report of the speech lacks crowd reaction notes, but he sounds like a man trying to please diverse factions without committing to much to any of them. If you believe Sumner’s speech completely within bounds, you can draw lines out of Gardner to support that. If you believe it outside the limit of good taste, or just minimally acceptable discourse, then Gardner also supports you. Only the position that Sumner really had it coming doesn’t get clear support. from no other motive and from no other impute we are called upon to a distinct and unequivocal expression of our feelings and opinions on this important event, in our deep, unchanged and unalterable attachment to the federal constitution and federal Union, we should find abundant reasons for the most earnest solicitude and the most decided action to arouse reflecting, disinterested, and patriotic citizens, in all parts of the country, to a manful and united determination to frown upon and extinguish the first indications of violence and terror as agencies in our political system. In other words, the people on the speaker’s platform and in the audience understood themselves as often political adversaries. By diverging from their usual alignments they could look like men trying to ride a wave for selfish purposes. The resolutions denied that, casting the caning emphatically as an American matter, not merely one of party sentiment. They had their disagreements, but they staked out a norm that no one should conduct politics as Brooks and his many southern admirers had. we respectfully await the action of the House of Representatives in the premises, but we announce, we believe, the universal sentiment of our citizens, as demanding the immediate and unconditional expulsion of Mr. Brooks from their body, as a necessary vindication of their own character. The meeting did not presume to dictate the House’s course; it merely expressed the universal belief that the House take a certain course of action and kick Preston Brooks out. This double talk can’t have fooled anyone, but given that the resolutions focused so closely on the sanctity of government and the prerogatives of men holding public office, specifically Sumner, an outright order would have been a jarring departure from theme. Customarily, public meetings didn’t dictate to Congress in so many terms. They requested or recommended actions as expressions of their members in the form of petitions, not ultimatums. The resolutions closed with an order they could make, because it applied only to them. The newspapers should publish the resolutions and send them to New York’s delegation in Congress, where those men should lay them before the House and Senate for proper consideration. New Yorkers did not think highly of Preston Brooks’ violent escapade against Charles Sumner’s skull on the floor of the United States Senate. By breaking a cane over Sumner’s head, the South Carolinian attacked the fabric of republican self-government. White men of the North took that as their birthright whatever they thought of the party now claiming republicanism in their name and declaring slavery’s threat to it. In caning the Republican, Brooks also caned the Republic. Furthermore, they could not dismiss the caning as a private affair. Yankees might brawl on occasion, or more often; heated politics didn’t necessarily bother them. 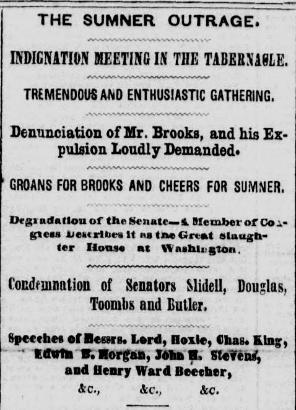 That the South appeared united in endorsing Brooks’ conduct elevated the dispute to a higher and ominous plane. They couldn’t dismiss him as a bad apple in light of all that. When Brooks caned the Republic, the whole white South joined in. 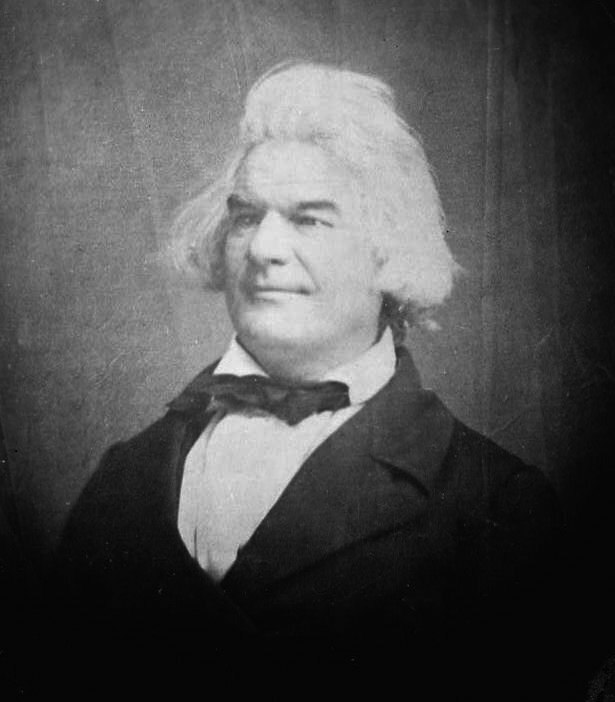 We rejoice to believe and to say that the general community of the free States, by their public men and their public press (with a few base exceptions to prove the honorable rule), and through all the channels of public opinion and public influence do thoroughly denounce, and by word and act will firmly and boldly oppose and overthrow any and every set scheme, system, or principle which avows or upholds violence as a means or mode of affecting political action, or restraining personal freedom, or enforcing servile inequalities among the statesmen or common citizens of this country; that in public questions, where each citizen is the keeper of the rights of his fellow citizens, and each generation holds a solemn trust for its posterity, next to the commission of injustices and violence there is no greater crime against the commonwealth than their permission, with power to prevent them, and their sufferance with a spirit that can feel them. This said a great deal. Yankees would no longer stand by, complicit, in systems that endorsed violence to suppress political action or restrain personal freedom, whether among statesmen or ordinary white men. The white South practiced just such a system, enforcing censorship of its mails to keep out antislavery material and through the use of violence and intimidation to rout any antislavery whites who happened to live in the slave states. Neither system worked perfectly, and both saw prosecution most aggressively in moments of perceived threat to slavery, but free white men suffered under them all the same. For many antislavery whites, those sins against freedom counted as much for despotism as any offense against blacks. For most, they counted much more. 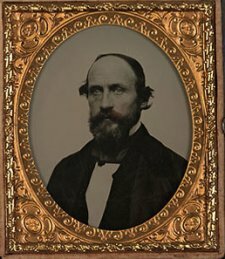 The antislavery movement had its greatest successes not in defending the lives, safety, or freedom of black Americans, but in advocating for white men. Republicans wanted to spread free labor across the West, in lieu of slavery. The free laborers they had in mind had white skin. When black laborers threatened to join them, even as free men, westerners saw fit to pass laws against their presence. Still, one must take notice. The New Yorkers assembled at the Tabernacle that day came together in the North’s most proslavery city and represented a cross-section of the city’s politics. Antislavery radicals could produce resolutions like this at the drop of a hat. It took a truly extraordinary and unprecedented event to bring in the city’s conservatives. For once, the white community unified against a proslavery attack. If it could happen in New York, it could happen far more easily elsewhere. As a Senator, under the responsibilities of my position, I have deemed it in my duty to offer this resolution. I may seem to have postponed this duty to an inconvenient period of the session; but had I attempted it at an earlier day, I might have exposed myself to a charge of a different character. It might have been said, that, a new-comer and inexperienced in this scene, without deliberation, hastily, rashly, recklessly, I pushed this question before the country. This is not the case now. I have taken time, and, in the exercise of my most careful discretion, at last ask the attention of the Senate. I shrink from any appeal founded on a trivial personal consideration; but should I be blamed for delay latterly, I may add, that, though in my seat daily, my bodily health for some time past, down to this very week, ash not been equal to the service I have undertaken. I am not sure that it is now, but I desire to try. Did you hear that, William Lloyd Garrison? Sumner had good reasons to delay, including personal illness. David Donald, citing Sumner’s letters, names the sickness as diarrhea and attributes it to Sumner’s nerves. He might have the right of it. One doesn’t want to give a lengthy speech while cramped up or likely to have dire need of a recess midway through. Now, at last, and against his better judgment given continuing infirmity, Sumner would speak. The Senate need only let him and they would hardly refuse a man who deliberated so long and confessed to such a weakness. The result at which you arrived is not in the least surprising to me. You are in your nature more trusting than I, and therefore expected more. Where slavery is concerned I have not a particle of confidence in the courtesy, honor, principles, or veracity of those who sustain it, either directly by reason of selfish interest, or more remotely through the servility learned by political associations. In all other cases I should yield them a share of confidence. I should not, therefore, had I been in your place, have predicated any action of mine upon the grant by them of any favor whatever. They cannot afford to be generous or even just. If you can get even that to which you have a clear right, you will do pretty well; but to get it you will have to fight for it. Adams spoke from experience, both in his own career and upbringing and as a Northern man in general. To a significant degree, the political progress of the free states during the last decade of the antebellum involved their moving from an innocence like Sumner’s, or at least an indifference, to a hardened awareness like Adams already preached in 1852. I told the committee that it was very pleasing to me to hear from their own lips their confession of error in substituting the charity plan for the old business charter. Had we retained the latter and made investment in Kansas City, which our own work would have built up, we could have easily become a very formidable power against slavery, not only in the territories, but in the slave states as well. He did tell them so. Business antislavery hadn’t raised the hoped-for funds, but it did recognize that investors wanted something for their trouble. The accounts of well-off men from Massachusetts could only go so far. Thayer then proposed to go big: the company would hire him through May. If he raised more than $20,000, then he would take 10% off the top as his fee. The Board agreed and Thayer hit the road again, focused on New York and Boston. He hoped to get $100,000, just as he had in 1854, and pick up $40,000 more in Boston. Thayer had big dreams. He brought NEEAC into the black again at $5,287.62 on hand. He took a commission of $5,158, so Andrews calculates that he raised at least $51,580. That made for a hefty sum indeed at the time, albeit not all that Thayer had hoped. The immediate crisis had passed by the end of May, but by then 1856 had delivered a fresh set of problems. While the Company’s finances rose, the free state effort it supported with mills, loans, and guns had taken a deep plunge. A second proslavery army had gathered on Oread Heights, named after Thayer’s school. David Rice Atchison and Samuel Jones led them to sack the Company’s town, throw the presses of the Company’s paper into the river, burn its hotel, arrested Charles Robinson and George Brown for treason, and closed the Missouri river. The closure of the river meant the end of communications, so with that news Kansas went dark. The demise of business antislavery left Eli Thayer as a traveling promoter of the New England Emigrant Aid Company. His excessively rosy account of Kansas led to some emigrants opting to go right back home, but some stayed on in the territory and Thayer’s appearances helped keep Kansas in the public mind. The aid companies also kept themselves in the minds of white Missourians living in the plantation counties next door. NEEAC could muster dozens or a few hundred emigrants, but they had thousands of angry proslavery men with guns, knives and two cannons. After they carried two elections in a row, antislavery Kansans had quite enough. Our people have now form themselves into four military companies and will meet to drill till they have perfected themselves in their art. Also, companies are being formed in other places ans we want arms … cannot your secret society send us 200 of Sharp’s rifles as a loan till this question is settled? The Stringfellows could go around telling everyone that the company raised legions of pauper mercenaries, but those mercenaries apparently set out for their war without sufficient arms. One would expect better of professionals. Nor did NEEAC’s directors leap at the chance to underwrite their emigrants’ military ventures. But as it soon appeared that antislavery Kansans would get no relief from Franklin Pierce, they secretly changed their minds. Robinson didn’t mean the Aid Company per se when he referred to Thayer’s “secret society”. He meant a group within it that privately raised money for arms, organized by the society’s then-current treasurer, Samuel Cabot. Amos Lawrence donated $2,700 for guns on top of what he gave to the official company funds. The Sharpe’s rifles arrived over the course of fall, 1855, often in crates labeled as books. As the second amendment thrived in Kansas, on both sides of the slavery question, the Aid Company did not. 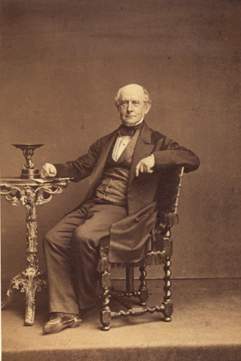 Amos Lawrence took over as treasurer, but quit the post in September. By April, the Company had spent $22,000. It had stock subscriptions for $26,844, but the subscribers had declined to pay their bills to the tune of almost eleven thousand dollars. It transpired that telling people their stock donation would probably not realize profit somewhat dimmed their ardor for investment. Philanthropy and patriotism only went so far. Resignation or no, Lawrence paid six thousand against the overdrafts of company agent Samuel Pomeroy. 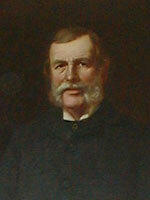 Pomeroy himself went back east on a two month tour of New England and New York that netted only $3,000. yet you are worth #200,000!!!! You have done more to palce us all in this position than any other and ought to take hold in earnest and relieve us.